Star Wars' 'Force Friday' shopping bonanza is underway. Companies like Lego and Hasbro are showing off a first look at their new toys and collectibles ahead of the latest installment of the film series, "Star Wars: The Last Jedi", which premieres December 15. Dubbed "Force Friday," the shopping event began in 2015, when new merchandise was released in anticipation of "Star Wars: The Force Awakens." While there are new toys and scenes related to Rey, Luke and Kylo Ren, we now know more about new characters featured in the upcoming film. 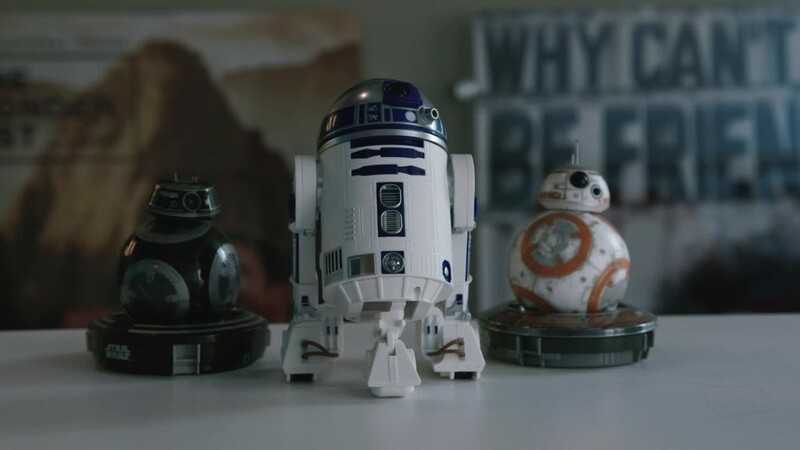 BB-9E -- BB-8's evil twin -- is the most prominent of the new products. According to Jim Silver, the CEO and Editor-in-Chief of review site TTPM (which stands for toys, tots, pets and more), Star Wars fans look for movie clues hidden within the toy design. "It's the largest franchise in the history of the toy business," Silver told CNN Tech. "The people who buy the toys study [them] and look for hints or spoilers that will give them some information about the movie." 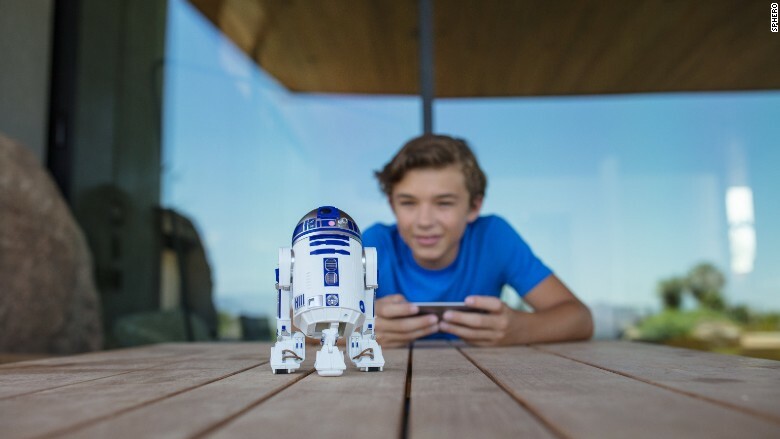 Star Wars fans can even hear lines from the movie via Hasbro's new Force Link wearable. Sales of "Star Wars" toys in the U.S. totaled $618 million from August 2016 to July 2017, according to market research firm NPD Group. The theme was also number one for the last twelve months in the total toy industry. "I think it's going to do very well this year because of technology ... the quality of the toys and the level of sophistication," Silver added. "The toys this year are better than any previous years." 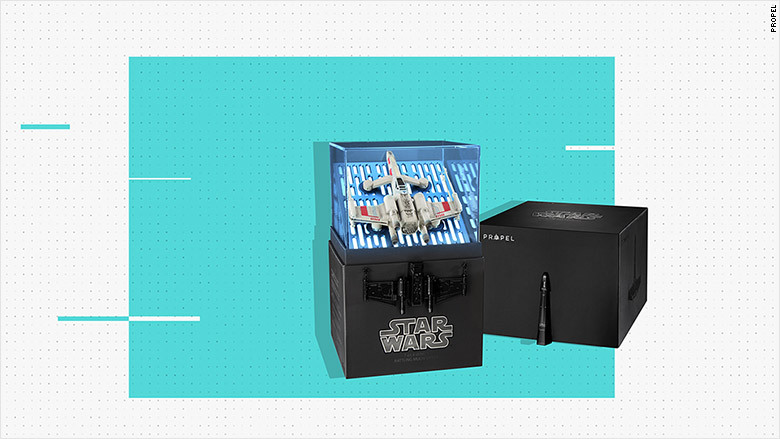 From robots to building kits, here's a look at the coolest Star Wars toys announced this Force Friday. 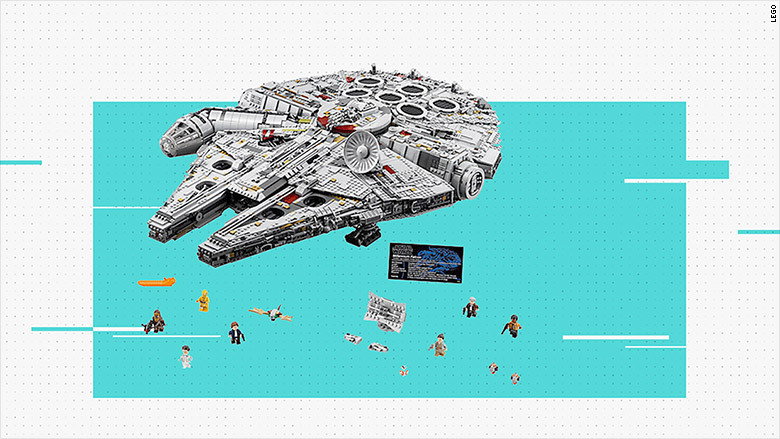 Lego is calling its new Millennium Falcon Lego set one of its largest and most detailed models ever. It includes laser cannons, landing legs, a boarding ramp and a 4-minifigure cockpit with a canopy that dethatches. 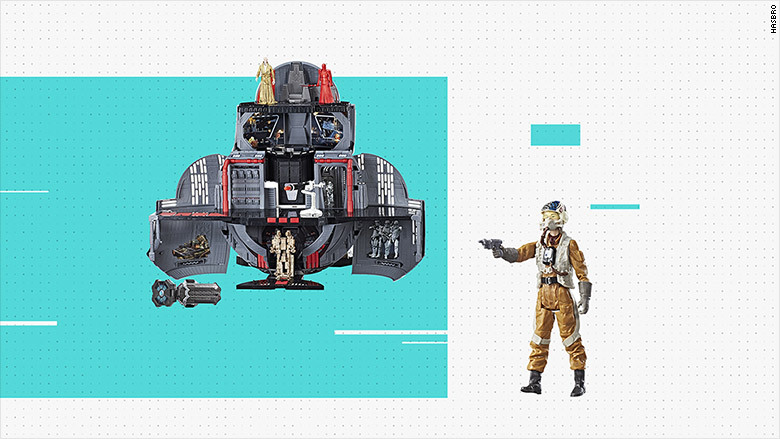 Hasbro's new Force Link tech combines wearable tech with characters and vehicles from the Star Wars saga. The accompanying wristband will play sounds or say phrases from the movie when you pick up various characters. These droids can be controlled with a smart device and use augmented reality to show holographic simulations from the Star Wars galaxy. Users can teach their R2-D2 unit new skills and take it on over 17 missions. 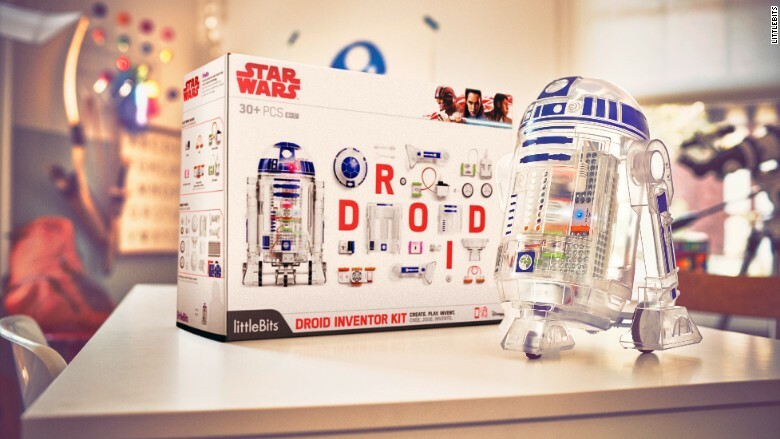 The kit comes with tools to build and customize R2-D2. Propel's new miniature quadcopters are designed to look like X-Wing and TIE Fighters, as well as the Speederbikes made famous in Return of the Jedi. When paired with a smartphone, players can meld the physical and virtual worlds, flying through the air while also hearing sound effects and dialogue from the movie. 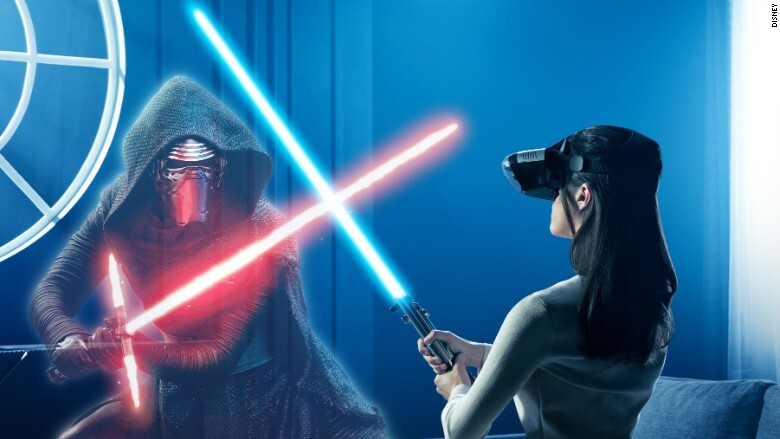 Disney and Lenovo's new augmented reality Star Wars product has a smartphone-powered Lenovo Mirage AR headset, Tracking Beacon and Lightsaber controller. It works with iOS and Android and will be available this holiday season. 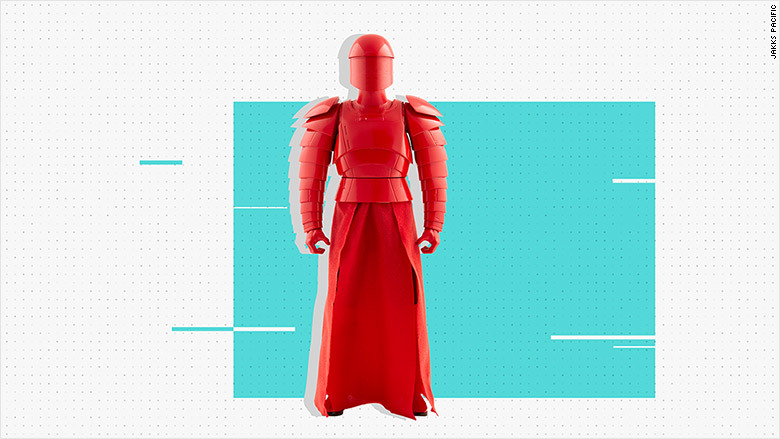 JAKKS Pacific's line of action figures includes new character Praetorian Guard.